While Lavaque Road only runs within the Duluth city limits for .06 miles, it is a distinctly Duluth thoroughfare. For a time it was a key route through rural Duluth and Proctor (formerly Proctorknott) to Hermantown. It is called County Highway 48 as it wends its way north, becomes one with Boundary Avenue during its brief pass through Duluth, and is synonymous with Proctor’s Second Avenue. Its familiar name has morphed for modern: it was originally written as La Vaque Road, as it honors early Duluth pioneers John H. and George N. La Vaque. They were born in Milwaukee—George in 1843, and John in 1845. Their parents took them to Stevens Point, Wisconsin, when they were children, and then to St. Cloud, Minnesota, in 1861. Both served in the Civil War in Hatch’s Battalion, Minnesota Volunteer Cavalry—which means they spent the war fighting rebellious Native Americans in the Dakota Territory. After the war, George became a traveling salesman and John entered the painting business in St. Paul. John opened a hardware store located at 18 West Superior Street, selling mostly paints and wallpapers, while George went into the fish business with Cooley and J. P. Johnson. One or both of them also invested in a venture called Thompson & LaVaque Lumber Company. In Duluth’s newspapers of the time, mention was often made of John’s talent at sign-painting, and whenever another of his creations went up on a storefront, it merited newsprint as a signal of continuing civilization. His store sometimes offered art classes or portrait painting services. It was also a central gathering place for what Cooley calls “all the gentlemen loafers,” who spent hours there playing cribbage and plotting their financial and political conquests. Duluth’s first electric lights were turned on in 1882, but it was still a newsworthy event when the first light bulb was lit in La Vaque’s store on October 10th, 1884. The La Vaque brothers together owned the tug Siskiwit, which was skippered by George and operated mostly out of Grand Marais. In December 1879, the Siskiwit damaged its propeller during its regular run. Another tug, the Amethyst, attempted to tow the Siskiwit back to Duluth, but a storm came up which snapped the towline. Near the Manitou River, the tug began to sink, so the Amethyst rescued the Siskiwit crew, taking them aboard. However, a few miles further, the rescue tug itself began to take on water, so the captain drove it aground. All but one made it ashore. The survivors rode out the storm in makeshift shelters, and when it was over, had to walk more than 13 miles to Beaver Bay, a journey which took them more than two days. It’s unclear if George was the skipper during this debacle, however his death by pneumonia in 1906 was blamed on a “bronchial weakness” accrued during his years of sailing. Both men took extensive part in civic affairs in Duluth. Both were prominent members of the Republican Party in St. Louis County. 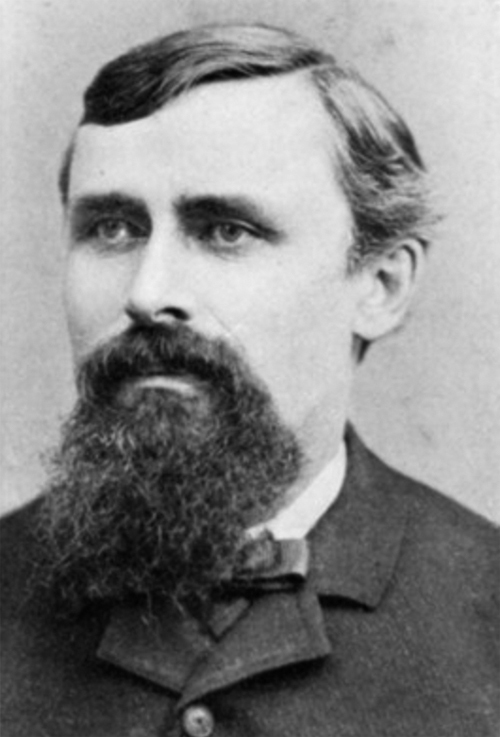 George served as county auditor from 1891–1897, also working for some years as a Humane Society officer, in charge of pursuing cases of cruelty to animals. Both men were heavily involved in the Masonic order in Duluth, and other related fraternal organizations, holding high offices. John served on the Chamber of Commerce committee that pushed the federal authorities to fund key harbor improvements in 1884. After a devastating bankruptcy drove John from town in 1901, he returned a few years later to be appointed deputy sheriff, holding that job until his death in 1923. All during his later years, John was the leading be-whiskered figure in the Old Settler’s Association, a group of early pioneers who took seriously the task of reminding the third wave of Duluth’s population what all those grizzled Fisheaters went through. He liked telling the story about the belated arrival of the steamer Norman in March 1870, which brought supplies after a particularly difficult winter. It was made apocryphal in a 1922 Duluth News Tribune article, telling of how “practically all the residents of Duluth had no potatoes or sugar for several weeks. The settlers would gather on the shore of the lake daily and scan the horizon for ‘their ship to come in.’” La Vaque ends by saying that this hardship was solved with the coming of the railroad. It is unclear how the road to Hermantown specifically came to be named for one or both of the La Vaques; however, it is can be speculated that it is connected to the location of Thompson Hill and the timber harvesting business of the Thompson & LaVaque Lumber Company.